Shaun Smith has over 20 years experience working on makeup, special makeup effects, puppets and props for feature films, television, webisodes and commercials. Shaun began his career working as part of the creature effects crew on the film Tremors. In 1995 he was hired by Kevin Yagher to head up his makeup effects shop where he took the lead on high-profile projects such as John Woo's Face/Off and Paul Verhoeven's Starship Troopers. In 1997, Shaun transitioned into his freelance career as a project coordinator for various studios and makeup effects companies. During this time he reunited with two-time makeup academy award winner, David Anderson, to assemble and supervise the makeup effects crew for director Zack Snyder's Dawn of the Dead. Following the success of that he managed several projects for Creature Effects, Inc., including Four Brothers and Chronicles of Narnia: The Lion, the Witch, and the Wardrobe. 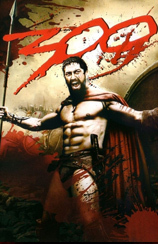 Impressed by his work on Dawn of the Dead, director Zack Snyder turned to Shaun when he began working on 300, based on Frank Miller's classic graphic novel. Teaming up with a long-time associate, he set up shops in Los Angeles, Toronto, and Montreal to complete the impressive collection of special effects makeup, puppets and props for 300. In addition, Shaun supervised over 30 makeup artists and staff each day on the set. 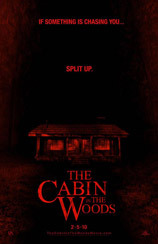 In 2009, he teamed with David Anderson again to run his creature shop for Joss Whedon’s The Cabin in the Woods, directed by Drew Goddard. 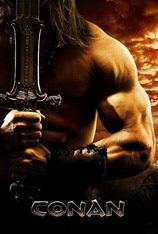 In 2010, Shaun spent five months in Bulgaria where he supervised the period fantasy makeup with Scott Wheeler on Marcus Nispel’s epic Conan the Barbarian. Soon after shooting wrapped on Conan, Shaun jumped continents, traveling from Europe to Asia to work on Pou-Soi Cheang’s version of The Monkey King. He set up a studio in Beijing and managed a team of over 100 international hair and makeup artists during the nine month long pre-production build and film shoot. Adept in all facets of the makeup effects and prosthetics arena, Shaun specializes in the supervision of crews ranging from a few artists to large global teams. He also has vast experience in budgeting, art directing, designing, and overseeing operations. Though he maintains his base in Los Angeles, Shaun has successfully utilized the “Shop in a Box” model, setting up workshops all over the world including China, Bulgaria, Canada, Thailand, New Zealand, Panama, and Australia.